SYDNEY - With the specter of a destabilizing power imbalance looming large in the world’s most dynamic region, the Indo-Pacific, the imperative to establish what Prime Minister Shinzo Abe once called a “democratic security diamond” has prompted Australia, India, Japan and the United States to renew efforts toward a strategic constellation of democracies. Close strategic collaboration among key democracies can help institute power stability and contain the challenges that threaten to disrupt stability and impede economic growth in the Indo-Pacific, a region marked by the confluence of the Indian and Pacific oceans. At the core of a potential constellation of democracies is the strategic quadrilateral of Australia, India, Japan and the U.S.
On the sidelines of the East Asia Summit in Manila, U.S. President Donald Trump, Indian Prime Minister Narendra Modi, Australian Prime Minister Malcolm Turnbull and Abe held bilateral and trilateral meetings between themselves. Diplomatic officials from the four countries also held a joint meeting there to examine “ways to achieve common goals and address common challenges in the region,” with the quadrilateral partners agreeing to defend the rules-based order, according to the U.S. State Department. Let’s be clear: The alternative to a liberal, inclusive, rules-based order is an illiberal, hegemonic order with Chinese characteristics. Few would like to live in such an order. Yet this is precisely what the Indo-Pacific region might get if regional states do not work to counter the growing challenge to the rules-based order. China has prospered under the present order. But having accumulated economic and military power, it is now challenging that order, including by flouting established rules and norms on territorial, maritime and trade issues. Before the Manila summit, U.S. Secretary of State Rex Tillerson pitched for a concert of democracies. “The world’s center of gravity is shifting to the heart of the Indo-Pacific,” a development that demands “greater engagement and cooperation” among democratic powers, Tillerson said in his first Asia-Pacific policy speech since taking office. To succeed, such an endeavor must reckon with certain realities, including by drawing lessons from the failed effort a decade ago to sustain the exploratory Quadrilateral Initiative. 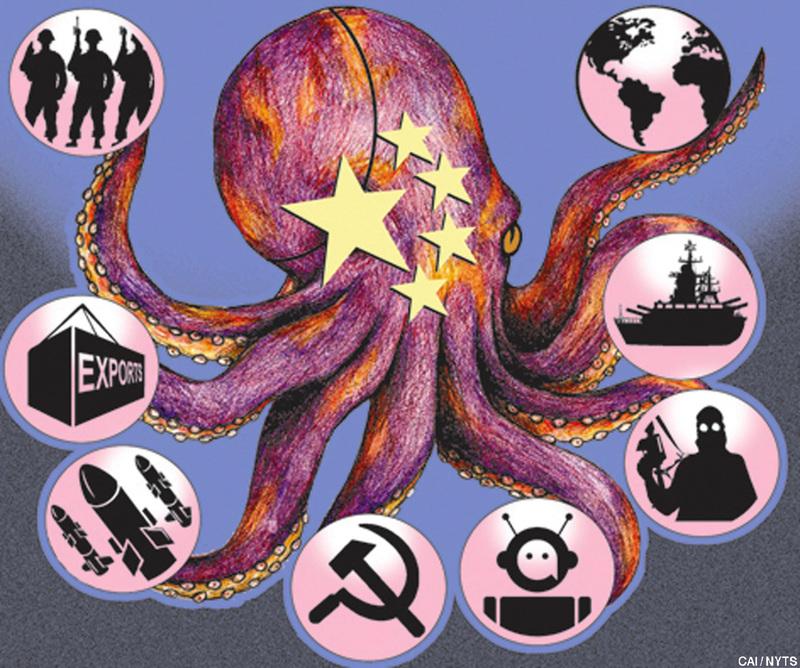 After the “quad” held its inaugural meeting in May 2007, Beijing was quick to cry foul and see the apparition of an “Asian NATO.” Through intense diplomatic and economic pressure, Beijing sought to unravel the quad. Ultimately, it succeeded. Australia appeared ill at ease in the quad, given that its economic boom was tied to China’s commodity imports. America’s support to the quad was less than unreserved, in light of its economic co-dependency with China. India was tacitly supportive of the quad but hesitant to do anything openly that could instigate China to step up direct or surrogate military pressure on it. That left Japan as the only enthusiastic quad member. Indeed, the quad idea was conceived by Abe in his book “Utsukushii Kuni-e” (“Toward A Beautiful Country”), which was published before he became prime minister for the first time in 2006. Eventually, the Rudd government in Australia pulled the rug from under the quad in a vain attempt to appease Beijing. With his visiting Chinese counterpart by his side, then-Foreign Minister Stephen Smith said, “I indicated when I was in Japan that Australia would not be proposing to have a dialogue of that nature” and labeled the inaugural quad meeting as “a one-off” affair. Did the quad’s disbanding help change China’s behavior in a positive direction? Actually China’s behavior changed for the worse. Had the quad members stood up to the Chinese pressure, China would likely have had less space to strategically alter the status quo in the South China Sea in its favor. China’s success in extending its control in the South China Sea by artificially creating seven islands and militarizing them has only emboldened its aggressive designs in the Himalayas and the East China Sea. The lost decade since the first quad experiment means that democratic powers cannot afford to fail again. They need to come together through meaningful collaboration and coordination because no single power on its own has been able to stop China’s territorial and maritime creep or rein in its increasingly muscular approach. To be sure, a democratic coalition is unlikely to take the shape of a formal alliance. A loose coalition of democracies can draw strength from the concept of democratic peace, which holds special relevance for the region. Shared values and interests are likely to drive democratic powers to promote maritime security, stability, connectivity, freedom of navigation, respect for international law and the peaceful settlement of disputes in the region. Democratic powers must proceed slowly but surely, without unduly publicizing their meetings or intentions, in view of their failed experiment a decade ago and the current geopolitical challenges that are largely centered on China. Japan and India, facing direct Chinese military pressure, have a much greater interest in the formation of a concert of democracies than the geographically distant U.S. and Australia. An ongoing political crisis in Australia could trigger an election early next year, potentially bringing to power the opposition Labor Party, which seemingly favors a China-friendly foreign policy. Turnbull’s job approval rating has hit a new low. Having caused the collapse of the first quad experiment, Australia is the weak link in the reconstituted quad. Meanwhile, the praise Trump lavished on China and its neo-Leninist dictator, Xi Jinping, during his recent Beijing visit raises the question whether he fully shares Tillerson’s Indo-Pacific vision. Despite his praise and flattery, Trump failed to secure any important Chinese concession. In fact, his visit, far from highlighting U.S. leadership, unwittingly spotlighted China’s strength and power to potentially shape a post-American order in the Asia-Pacific region. To be sure, the success of the reconstituted quad hinges on the U.S. being fully on board. Of course, major Asia-Pacific powers will continue to seek opportunities to balance against China, with or without the U.S. being on board. Two recent examples from the region — the revival of the quad and the movement toward concluding a final Trans-Pacific Partnership agreement among the 11 remaining members — indicate a clear determination to block the emergence of a China-led future. Still, the absence of a joint statement after the Nov. 12 quad meeting in Manila underscores the challenge the nascent initiative faces. Each quad member-state issued its own statement. The resurrected quad — the result of Abe’s diplomatic doggedness — is intended to serve as an initial framework to promote a four-way security dialogue and set in motion a web of interlocking partnerships among an expanding group of democracies. Given that contrasting political values have become the main geopolitical dividing line in the Asia-Pacific region, establishing a community of values can help underpin regional stability and power equilibrium. 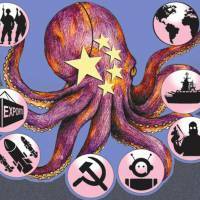 Such a community can also ensure that China’s defiant unilateralism is no longer cost-free. The plain fact is that the Indo-Pacific democracies are natural allies. The Japan-U.S.-India-Australia strategic trapezium is best placed to lead the effort to build freedom, prosperity and stability in the Indo-Pacific region and to make sure that liberalism prevails over illiberalism.